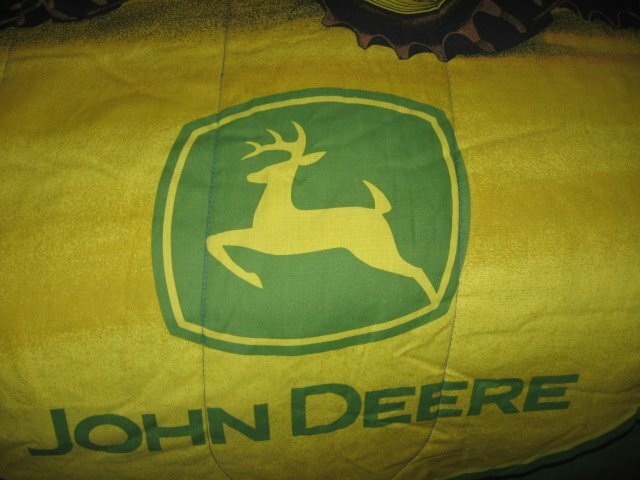 Extra thick John Deere comforter 48 by 84 inches Rare hard to find. 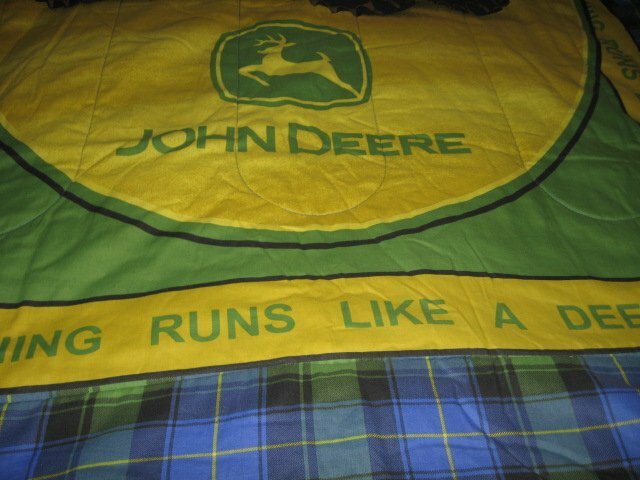 Reverse side has John Deere colors and logos. 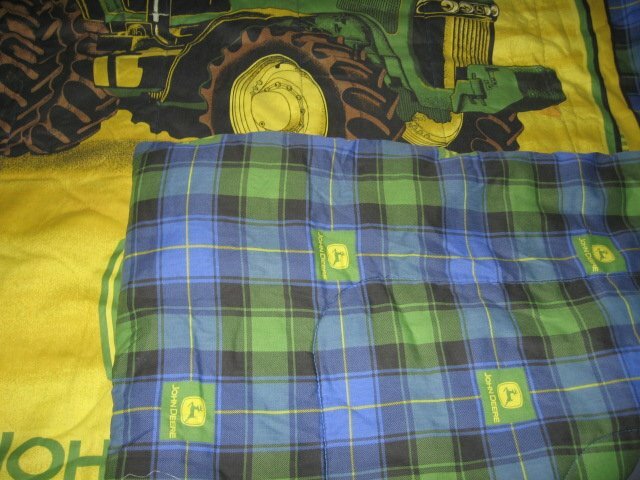 Very warm and has extras thick padding. 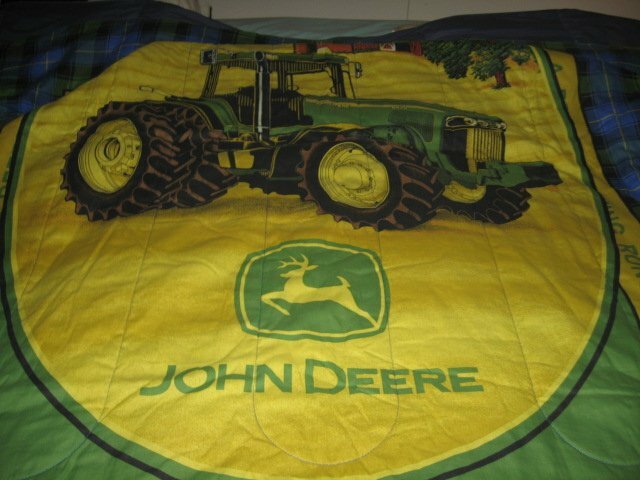 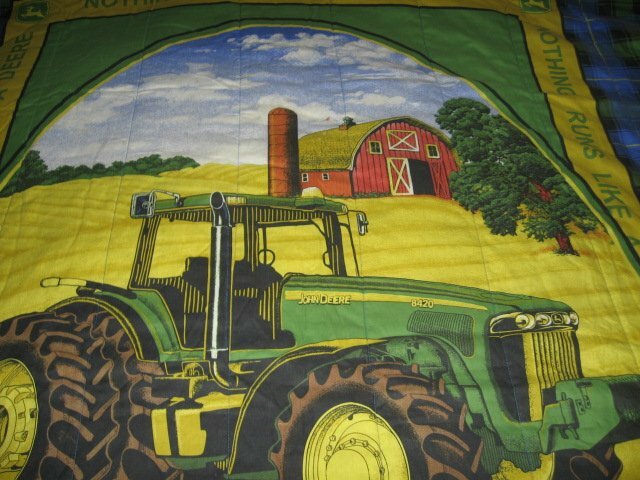 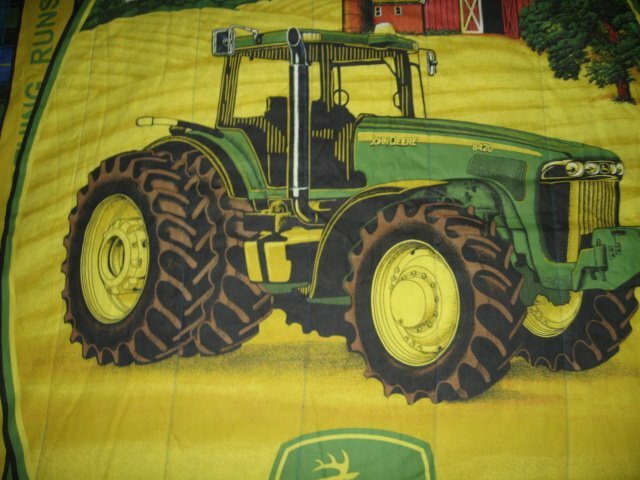 Beautiful John Deere tractor highlighted in center of comforter.